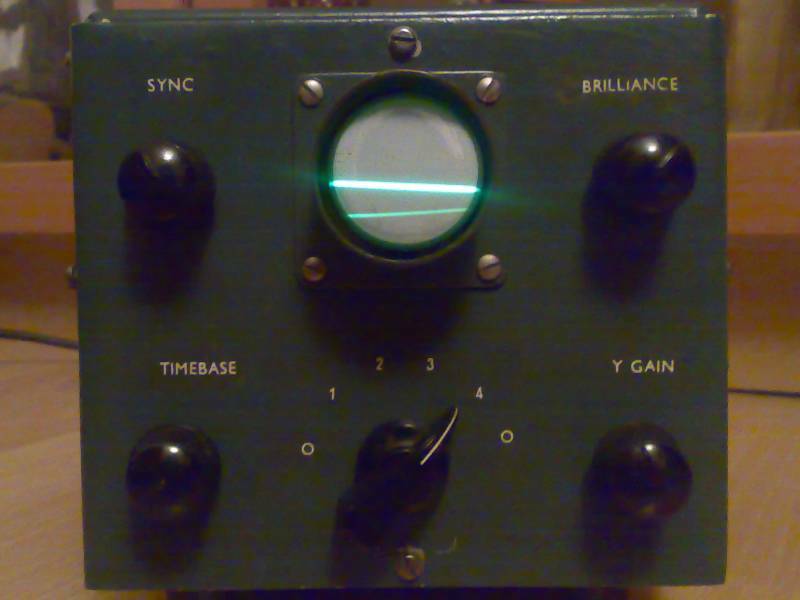 This beautiful homemade oscilloscope is the craftmanship of the late Len Hall G3IGI and was kindly given to me by Graham Firth G3MFJ at the 2008 G-QRP-club mini-convention. Graham has seen my own 1-inch oscilloscope project (also pictured, far right) and knew I'd be interested in it! Another similar project (right) is by Andy G4OEP. Len's scope still works perfectly. 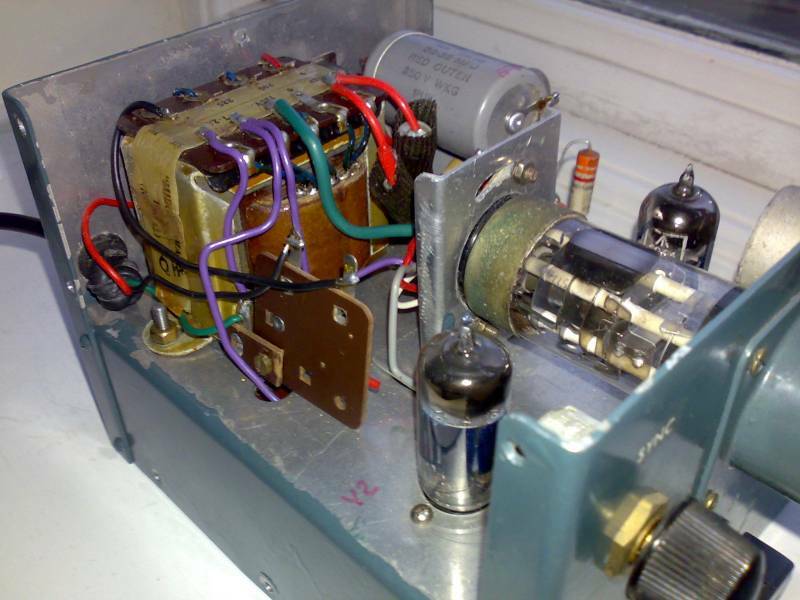 It uses a 1-inch diameter 1CP1 CRT which is very similar to the DH3-91 I used. Len's construction was SO GOOD that I thought this was a piece of commercial equipment. It was only when I opened it up that I could begin to see that it was homebrew. I only wish I could build equipment that nice-looking! Len's circuit uses two EF91 pentodes. 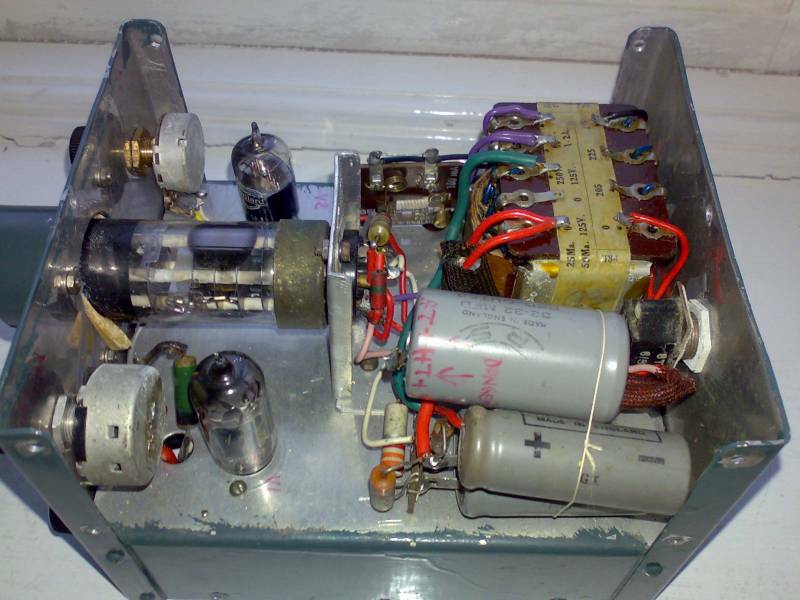 The transformer has 250V secondary and feeds a two-diode voltage doubler (solid state diodes). 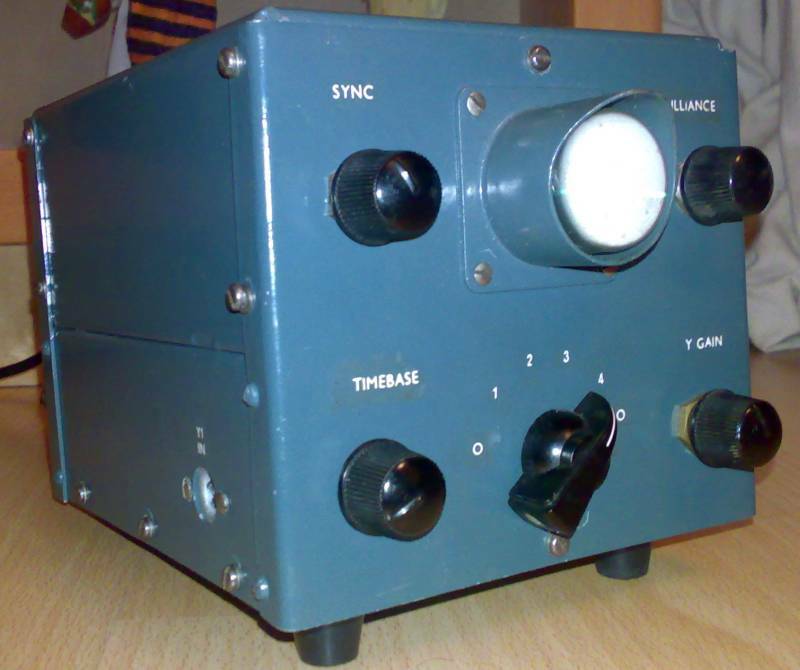 There are two "aerial" sockets on the back which are Belling Lee type sockets. Another Belling Lee socket on the side of the cabinet is labelled Y1 input. 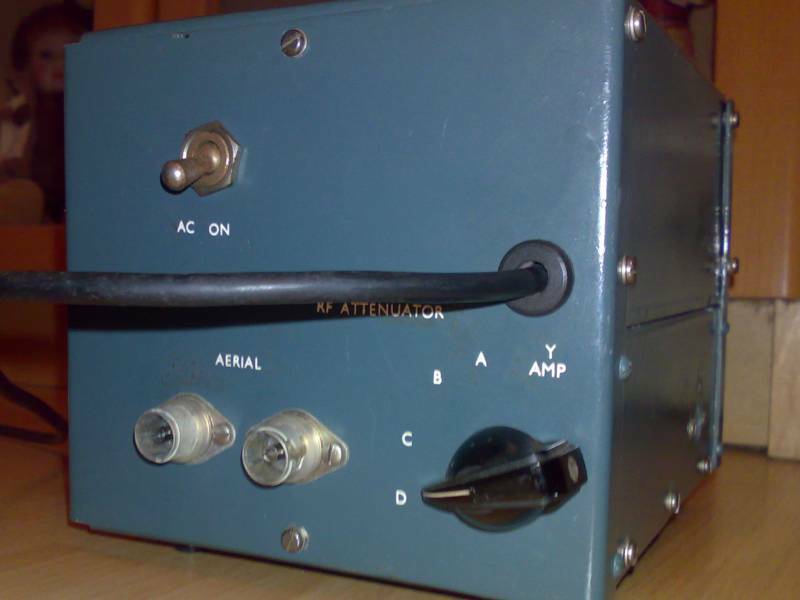 The two rear sockets are in parallel so the 'scope was probably intended as a modulation monitor to be connected in the antenna coax. 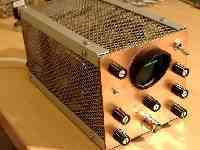 There's quite some attenuation available which is switchable at various levels using a rotary switch on the back panel. 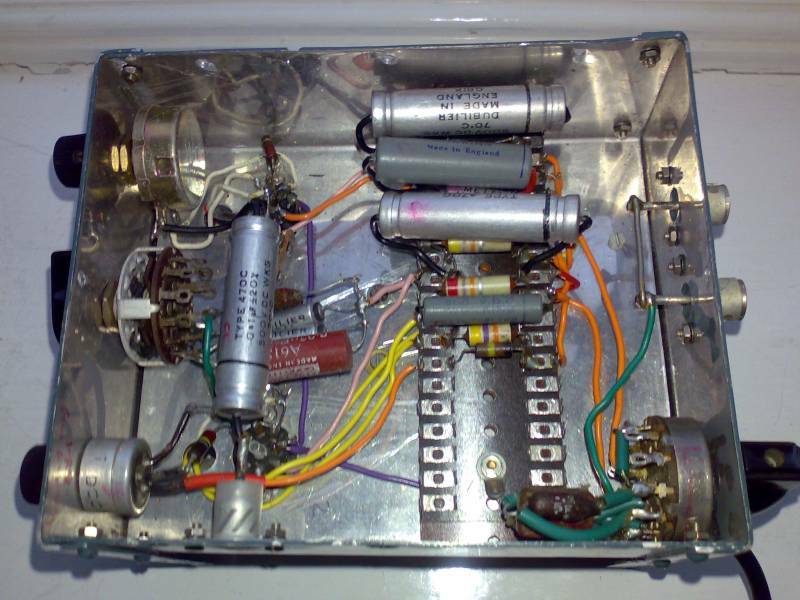 See some photos below, showing the oscilloscope inside and out. 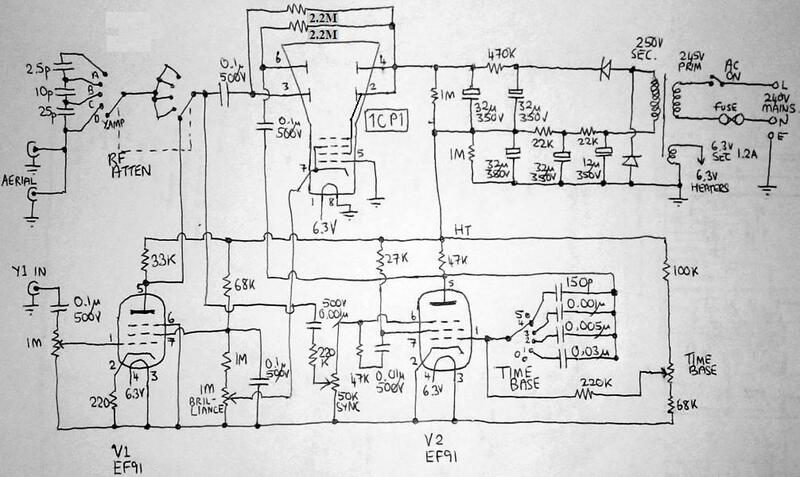 I also traced the circuit diagram which I believe to be correct although I'm a little confused/suspicious about the power supply section.